Are You In Need Of Emergency Tree Service In Richmond VA? Since a well-cared-for tree is one of the best ways to protect your home from storm damage, saving as many trees as possible is to your benefit. Here are a few guidelines on how to care for you trees to prevent major storm damage. Trees with a thick canopy should be thinned this allows for wind gust to travel through the canopy. Trees with multiple trunks can become hazardous to your loved ones and property. Dead and Dying Trees need to be removed immediately! Branches that are to close to your home or to other structures on the property should be trimmed or removed. Heaving soil at the base of the tree trunk needs to be evaluated this could indicate a weak root system. Be sure to look for any signs of hollowing in the tree, in the trunk and/or limbs. All of these things listed above if not properly cared for could cause catastrophic damage. 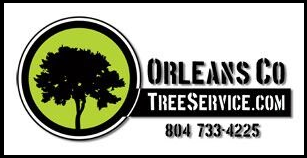 You Can Count On Orleans Co. Tree Service For Emergency Tree Service In Richmond VA! You can trust that Orleans Co. Tree Service will treat your property as if it was our own and we will leave you with a peace of mind when the job is completed! No homeowner should ever attempt to remove or trim any trees by themselves. Please consult a professional experienced company for all your tree service needs. We Offer FREE estimates for all residential and commercial projects. We are happy to help you with any questions or concerns you may have, please feel free to contact Orleans Co. Tree Service for your tree removal. Contact Us Today For Your FREE Estimate at 804-733-4225. Contact Us at 804-733-4225 To Schedule Your FREE Estimate Today! Are You In Need Of Tree Work? We Guarantee Quality Work, Quick Response and Reasonable Rates! Orleans Co. Tree Service has been serving all of Central Virginia since 1998. Enter Your Information Below For Your FREE Estimate! Thank you! We Will Be Contacting You Shortly To Set-up Your Free Estimate!